Back in June, I helped set up and run the Restorative Center’s annual fundraiser. The Restorative Center is a non-profit that works to enhance restorative justice by training teens, attorneys and other volunteers. Most of their work involves “circles” in which groups meet in a circle formation and discuss their experiences openly. The fundraiser was held at Joe’s pub, with a performance by Stephanie McKay. I helped by setting up the venue before it started, and by assisting with an activity for the attendees. The activity was to write what justice meant to each of the attendees on separate pieces of wood, so by the end of the night there was a pretty visual of what justice means. It was a very fun and informative night, and I’m so glad I got to attend! This summer, I was given the opportunity to volunteer with the Adopt-A-Highway organization. My camp partners with them and adopted highway 1431 in Austin, Texas. I, along with 39 other kids around my age, walked along a long stretch of the highway picking up any trash we saw. The things that we picked up astounded me. I couldn’t believe the things that people would throw out their car windows onto the highway, polluting it. By picking up the trash, I was given another perspective on the amount of pollution in the world. Some of the people who were part of the organizations also gave us some insight of how this trash affected the area and what we were doing by picking it up, which made me want to be even more cautious of the things that I could do that might negatively impact our environment as well as the things that I could do that would positively impact our environment. I was also given the opportunity to volunteer with the Nature Conservancy at the Barton Creek Habitat Reserve in Austin, Texas, also with my camp. We were told of the endangered species who have made their home the creek and how they helped keep them safe as well as how we could aid them. They explained just how much they had impacted the environment by telling us the growth of the endangered species in the area since they began preserving the creek. In addition to preserving the creek, the Nature Conservancy also allows people to swim in a specific section Barton Creek. We got to see how that creek functioned and looked in comparison to other creeks. It was incredible to see how clear the water was and that there weren’t any strange objects floating at the top or sunken down at the bottom of the creek like how we see plastic bottles or other pieces of trash in natural bodies of water. The creek had all kinds of greenery surrounding it that was actually green rather than the dried green or light brown that is the usual color of nature in most of Texas. In volunteering with both of these organizations, I got a newfound sense of making a difference as well as being able to see what my volunteering could do to help the rest of the world. If I had not participated in those experiences, I would not have gotten the same sense of accomplishment or have been able to see that what I do makes a difference. 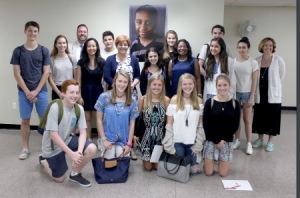 This past summer, I was a fellow at the Robin Hood Foundation, where I, along with several other teenagers from around the Tri-state area, went on site visits to numerous organizations funded by Robin Hood. Each day, we focused on another element of poverty and had the opportunity to further explore it through conversations with employees of each organization and our time at the sites. Throughout the week, as I was enlighted by how deep-rooted poverty is in the city, I was appalled by how sheltered I am in my everyday life. Even though I’ve been to the Brooklyn Navy Yard, I never knew about its history, contribution to NYC’s economy by providing and preserving quality jobs, and role in connecting the local community. I knew what a shelter was, but I’ve never stepped foot in one. The abstract, horrible image of poverty that I pictured in my head began to clear up as I got a glimpse of the destitution we’ve always talked about but hardly get to see first-hand. I was particularly touched by our visit to immigration court, where we met with pro-bono attorneys from the Safe Passage Project who represent unaccompanied minors. As we were led through the daunting corridors lined with waiting individuals, I began to imagine how scary it would be for a child to have to find their name on one of the numerous sheets of paper stapled to the wall and represent themselves in a foreign language. Besides solidifying my commitment to service after Friends, my time at the Robin Hood Foundation reminded me that there’s a lot to the world that we don’t get to see at a glimpse and must make a conscious effort to further discover a fuller picture. 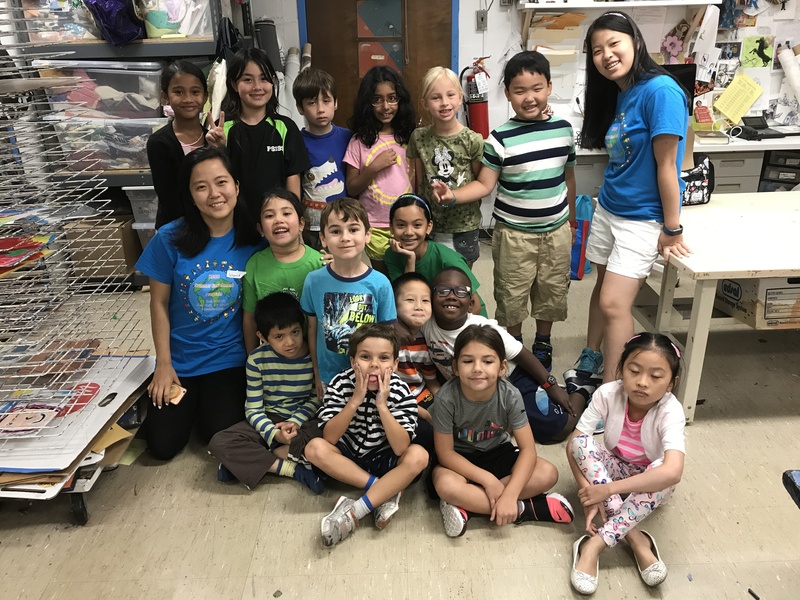 This summer I volunteered with the Stuyvesant Park Neighborhood Association (SPNA). I helped out at Stuyvesant park near school with gardening tasks that are important to maintaining the park, such as pulling weeds and raking leaves. I have been volunteering there for the past few years, and it is wonderful to be able to see the direct results of my work. For example, I can plant flowers in the fall and see them bloom in the spring, or spread mulch over an area without grass and come back a month later to see a grassy field. This is really a volunteer opportunity where you can see the results of your work and how you have helped improve the park for everyone. Since I live nearby, I have gone to Stuyvesant park throughout my entire life. I used to go there to play with my brother, and I often walk my dog through the park. Now that I go to Friends, this park is also a part of my school community. For me, volunteering with SPNA has been a great way to give back to my community in a way that improves the experience of me and everyone else who uses the park. 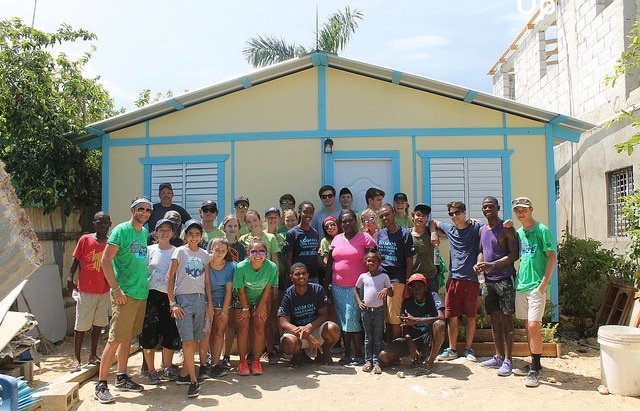 This summer I had the opportunity to work with Homes of Hope in the Dominican Republic to help build a home for Juana Santana Vargas and her family. The three days during which we worked were extremely fulfilling. It was my first time physically building. At first, I was very nervous because we were using drills and power saws and other power tools. However, Demali, Juana’s daughter would always watch us working and she would become so happy that we all had a great time. On day 1, (Tuesday) We put up the four walls and the interior walls. I enjoyed creating the framework for the interior walls a lot. On day 2 (Wednesday), we did the electrics, and lined the interior walls, painted, put in windows and almost finished the roof. I mostly painted. However, as we were putting up the roof, it started raining and the paint on the walls was still wet so lots of it came out so we all put on raincoats and doubled up our pace; we re-did everything and thankfully finished by the end of the day. Finally, on day 3 (Thursday), we finished lining the interior walls and the rooms, completely finished the roof and we put in the furniture. After the house was complete and we furnished it, the family entered the house and they were very emotional. They started crying and were so grateful as they told us that if we had not built the house for them, Juana needed to work seven whole years to get all the materials for the house. This is when I realized how grateful I should be for everything I have because things that come so easily to us is actually very hard to acquire for others. Overall, it was an extremely enriching experience and I hope I can do it again next summer! This was my second summer working for the Hunter Enrichment Program. The program is for gifted children, and they take three classes for the month of July, Monday to Thursday. 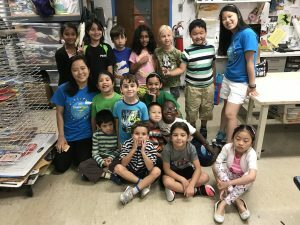 Last year I worked as a regular student aide (which is technically the name of my job) but this year I was the leader of my group of kids who were going into second grade. They had math/science, writing and art everyday. I was responsible for supervising them during class, lunch, dismissal, arrival, recess, basically all through out the day. I was also a teacher’s assistant, helping the kids with their math or spelling. Having worked with kids going into sixth grade the previous year, I wanted to change it up and work with younger kids this summer. They were definitely a handful, and some kids were particularly hard to deal with, but I loved doing the job. The one on the left with the bright blue shirt and logo is another student aide, Winnie. The one in the middle with the green shirt who looks like she could blend in with the second graders is Isabella. This summer I served as an Intern for Congresswoman Maloney’s office on Capitol Hill in Washington, DC for the second year in a row. Congresswoman Maloney represents the 12th District of New York, which entails Manhattan, Brooklyn and Queens. Friends Seminary is in Congresswoman Maloney’s district. My list of responsibilities grew this year as a result of it being my second year. Not only was I tasked with roles that directly benefited my community (answering phone calls from constituents, reading and responding to letters from constituents, delivering packages intended for my community), I was asked to attend hearings and write memo’s describing what I saw. I also was tasked with sitting at the front desk and speaking with members of the community who would travel all the way to D.C with concerns and questions. My work on Capitol Hill has been a life changing and eye-opening experience. Not only have I been able to support my community, but I participated in work I loved. This summer I went to Costa Rica on a service trip. I participated in various service activities in different places throughout Costa Rica. 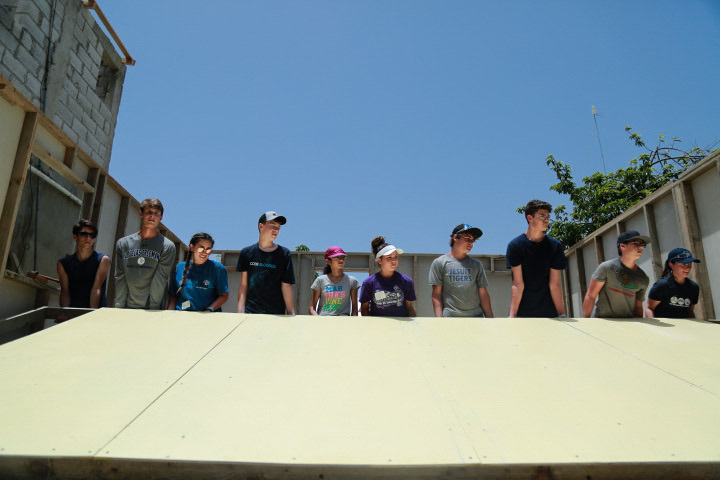 When my service group and I were near Tamarindo we helped clean up a school to get it ready for the first day. This activity was especially meaningful to me because education is one of the most important things to have growing up. The school that we helped is in a poor town and the woman leading the cleanup was a teacher in the school. Doing this service made me think about how fortunate I am to be going to friends and how important it is that children around the world get a quality education. When we were in La Fortuna my group worked with a boy scout’s organization to help repaint a park. Later in the trip in Turrialba my group and I went to a school with people with disabilities. We watched them perform some acts in celebration of Nicoya Party Annexation Day then we helped the students prepare gift bags for an event that they were going to have later. Exploring Costa Rica and doing service all around the country was a great experience because it helped me become more aware of what is actually happening. The students do not have the most pristine facilities and abundant resources. The teacher that was helping to clean the school before the first day said that before she came, the school was a disaster and one of the classrooms wasn’t even being used even though the school is very small to start. There need to be more people like this teacher who care about the students, as well as volunteers to help and donate to improve the schools in poor towns. This summer I went on a service trip through my summer camp called I.C.E.P, International Camper Exchange Program. I stayed in Peru for 5 weeks with 14 other people my age. In Peru we did over 40 hours of service, both physical and social service. We spent the majority of our time in Lima, the capital of Peru, but we also spent a week in Cuzco. In Lima, we visited many orphanages, the majority of which the children had physical and/or mental disabilites. We would spend time playing with them and feeding them. We also spent 3 days in Independencia, the poorest district in Lima, building a flood wall for the local school there. In addition, we took another 3 day trip to Azpitia, where we laid down an entire field of grass and helped clean up the property there. Overall, through my time in Peru I had a deeper understanding of not only the culture in Peru, but how helpful service is to those less fortunate. I feel very grateful to have part taken in this experience becuase of the people that I was able to help in Peru.